If you’re in a manufacturing or scientific career, you’ve probably heard the term “cleanroom” before. What does it mean, though? 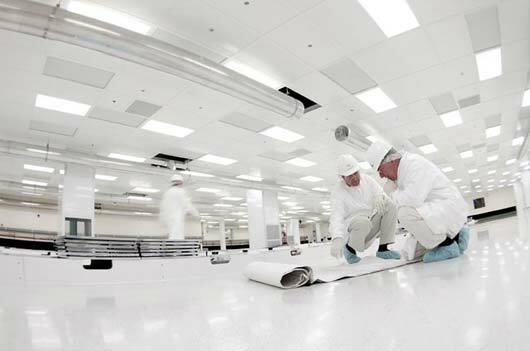 How can you explain a cleanroom to your employees? Read on for a few basics about cleanrooms. A cleanroom is an area where the environment and airborne particles are controlled. Contaminants that are created by equipment, processes, facilities, and even people are constantly being removed from the air in a cleanroom. Usually, products are manufactured in this type of space. Cleanrooms can be found in variety of industries, including aerospace, biotech, life sciences, manufacturing, medical, optics, pharmaceuticals, and even the military. Basically, any industry where particles could negatively affect the manufacturing process will use a cleanroom. Yes, most of the time workers have some sort of access to cleanrooms. Depending on the type of cleanroom, a worker may simply have to wear a hair net and a lab coat or they may need to have a suit that completely envelops them. Sometimes, employees have to use a breathing apparatus as well. Ready to get started on creating or updating your company’s cleanroom? Start building today.